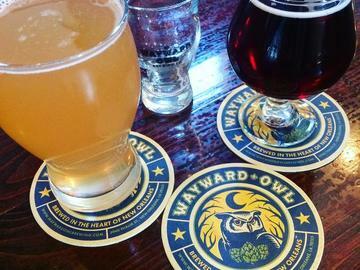 Join us in celebrating the New Orleans Theatre Community at the Wayward Owl Brewing Tasting Room, housed in the beautifully renovated Gem Theater. There will be delicious local beer, specialty cocktails, light snacks, a silent auction, big announcements, and lots of dancing to the musical stylings of Sabertooth Swing! A limited amount of Early Bird Tickets will be on sale July 27-August 3rd! NOBO is committed to spreading the awareness and accessibility of theatre, created and produced by local artists, to the greater New Orleans area. We strive to be inclusive to all companies, producing entities, and individual artists, this launch party/fundraiser will help us do just that! Majority of proceeds from the party will be used to subsidize rates for smaller companies and individual artists.